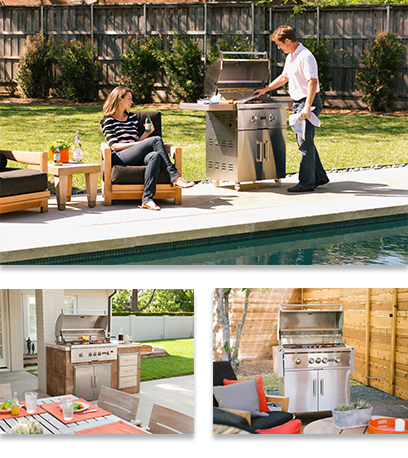 Coyote Outdoor Living brings to market a suite of products that allow consumers to create the outdoor kitchen of their dreams. The Coyote grill marries solid construction with strong aesthetics and remarkable performance. Designed to endure, the Coyote grill will be the heart of the outdoor living space. The ease of use coupled with a great cooking performance makes the Coyote grill a must have for your outdoor kitchen. Coyote Outdoor Living offers a branded living space that will aesthetically and functionally enhance all outdoor cooking areas. The current Coyote outdoor offering includes a broad range of storage solutions, secondary cooking options, refrigeration, and more.